At Dura Construction we take immense pride in our history. With nearly 50 years of experience in nearly all aspects of the industry, we’ve seen it all. Founded in 1968, Dura is one of the longest operating construction companies in Saskatchewan. We have overseen a wide range of projects of varying size and scope. We’ve seen trends and technology change and have committed ourselves to being consistently ahead of the curve. Our experience has allowed us to approach projects with the knowledge and perspective that ensures we are able to provide a quality product each and every time. One of our greatest assets is our versatility. We’ve tackled projects as a general contractor, a design-builder, a construction manager, and much more. The diversity of our projects has been vast. From schools, to large-scale retail renovations, to agricultural or recreational facilities, our team has experience with just about any type or size of project in the construction industry. If you need it, we can build it. Coupled with our steadfast attention to detail and our amazing team of engineers, steel erectors, project managers, and contractors our ability to remain dynamic and flexible has allowed us to perform quality work on all projects. Dura Construction is committed to the safety and well-being of each and every person who steps foot on any job site. 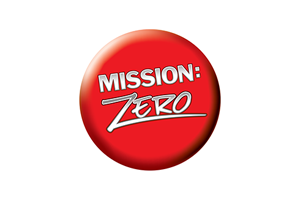 We are OH&S and WCB certified and have pledged our commitment to achieving Mission Zero. To ensure the highest safety standards and quality control we also have an in-house safety team that makes sure we are operating in the safest manner possible. Have a Project in Mind? We Can Help! From schools, to large-scale retail renovations, to agricultural facilities, our team has experience with just about any type or size of project in the construction industry. Coupled with our steadfast attention to detail and our amazing team, our ability to remain dynamic and flexible has allowed us to perform quality work on all projects.